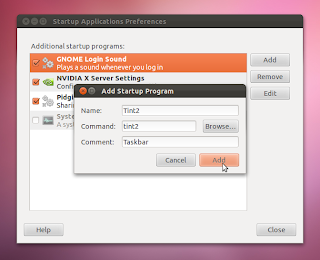 Tint2 is a simple and lightweight taskbar/panel for Openbox that works well with other desktop environments also. Unity lacks an important feature of minimizing the windows by clicking the respective icons in the Launcher. Running Tint2 alongside Unity will give you all the good of Unity as well as a feel of the old Gnome 2.x days, the simplicity and convenience. Tint2 allows you different background schemes, positioning on the screen, system tray, animations when an application demands attention, a clock, a battery applet and most importantly, it can auto-hide if you want it to. Once installed, press Alt + F2 and enter 'tint2' to launch it. Following these commands, its executable would be located at the top-level of your home directory; handy to know for running it again later. 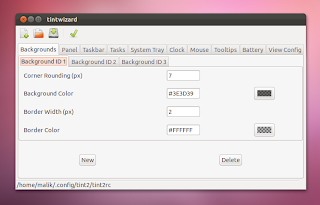 Note: Every time you launch the GUI, you would first need to open the 'tint2rc' file by going to File > Open and browsing to '.config/tint2' directory, otherwise it would create a new file with the default configuration. 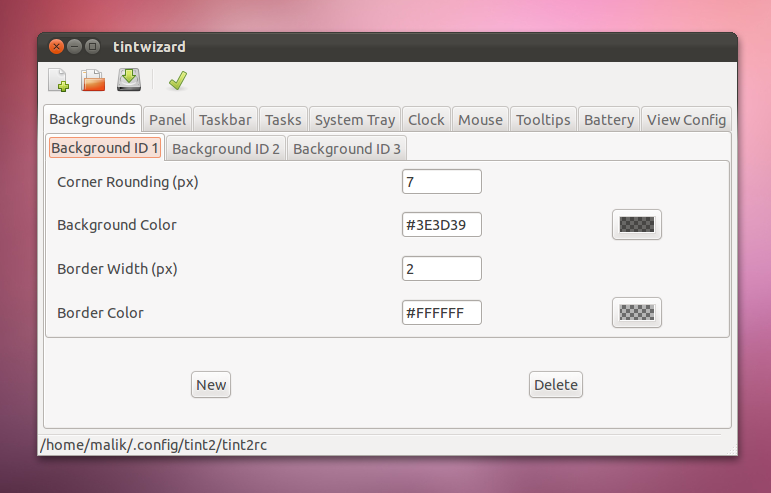 You can save and apply your configuration if you changed something and it would affect Tint2 immediately.